It was with great excitement that I read of a new beer being brewed by the Trappist monks of Saint Joseph's Abbey here in Spencer, Massachusetts. Definitely check out the Boston Globe's article "Monks in Spencer launch brewery." 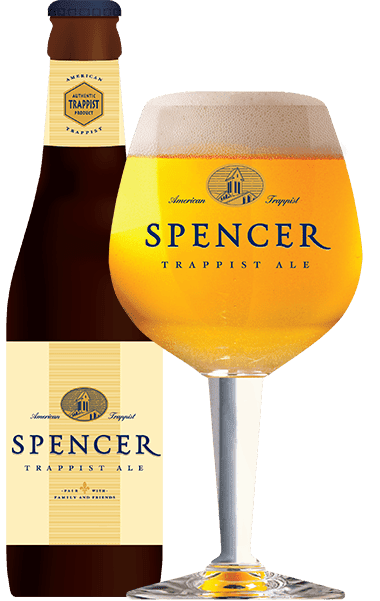 There is even is snazzy website where you can learn about Spencer Trappist Ale, order a nifty beer chalice, and read about the establishment of the brewery. Although I've spent the last few years attempting to cultivate a greater appreciation for wine, I suspect my first love will always be good beer. Growing up in Cleveland, Ohio I was spoiled by having immediate access to The Great Lakes Brewing Company and, more recently, Fat Head's Brewery. That this beer goes on sale here in Massachusetts this upcoming Wednesday has made the start of the new semester just a little bit brighter. St. Joseph's Abbey is justly famous for its preserves and its liturgical vestments. I applaud this new venture undertaken by the monks...or, perhaps better put, I (will) raise a glass to them. I mean, if drinking a beer helps to support the monks, who am I to withhold from aiding the Church?